Are Your Emergency Supplies Ready? I posted this last year, but with the events of the past week I think it is a good time to remind everybody to keep prepared as much as possible. Our world is constantly changing and you never know what may happen and it’s always best to be prepared. Can you leave your home in a moments notice with everything you need to keep you going for three days? In our everyday changing world it is important that we take precautions and be prepared for any and all the emergencies. You never know when some sort of disaster may hit and the only way to successfully survive without problems is preparedness. We often hear about this, but we do not take action and get prepared. What I plan on doing here is outlining why you need to be prepared and what you should have ready at all times. It’s time to have your emergency supplies ready because you do not know what tomorrow brings. If a person, or a family prepares for what-ever type of emergency they think could possibly affect their lives, such as tornado, hurricane, floods, fire, snowstorms, earthquakes, gas explosions, sniper attacks, terrorist attacks, they earn what is truly important in life….independence. Once you and/or your family are no longer dependent on others to supply heat, electric, food, water, and shelter for you/your family, you become independent. When you are independent, you loose a great deal of fear you might have. Best of all, you are now in the position to help your friends and neighbors. You will not be the person standing in a line, hoping the Government swoops down to help you. Independence, self reliance, being able to hold your head up knowing you can handle anything that life throws at you. That is what makes emergency preparedness important. By the way the Government hates and fears people who are prepared, because it takes away their control. I am always telling you not to listen to the media or trust the government. There are so many reasons for this. But for now we are going to concentrate on getting you ready for any emergency. Here are some of the basics that I have done to be prepared for any emergency. I have two years of food storage and bottled water, the water in clear plastic not white plastic, in my pantry. I’m stocked with all kinds of emergency and camping type supplies. I have a backup power source called an inversor that runs on batteries and will keep power going for at least three days. I also have a water tank with 500 Gallons of water to supply my home. I have a backup of medical supplies for almost any situation as well as any minor surgery or physical injury. 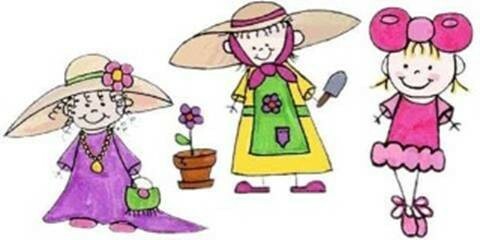 A child’s bag should contain some toys, crayons, and paper. You want to have a bag prepared for your animals with food and maybe even toys. It’s also a good idea to have a cage for your animal because they are going to panic in an emergency and you need to keep them contained. Minimum 3 Day supply of Food & Water (5 year shelf life) I recommend a five day supply, per person. I want you to carefully read over this list and start doing the basic thing first having your Flee Bag prepared. Once this is done it is going to trigger you into more action and you will start being more prepared as you build your emergency kit. Remember this is going to keep you and your loved ones prepared for any emergency at all times. As a Psychic Medium it is my job to see future events and there are going to be more emergencies happening worldwide where people need to be prepared to survive on their own without assistance. When it comes to emergencies you are really on your own and you need to realize this and be prepared. You have seen the examples with Hurricane Katrina and the earthquake in Haiti. God willing you never have to use these things, but it is always better to be safe than sorry. Do not delay and start making your Flee Bag today! Scientist’s have discovered that deep within our DNA, we indeed contain an ‘Element’ of ‘Star Dust’! 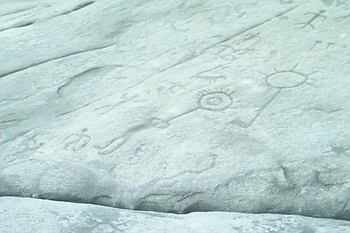 In Ontario, there is a sacred site called ‘KINOMAGEWAPKONG’, ‘THE ROCK’S THAT TEACH’. The phenomena of eerie noises are to be heard from the rock in springtime, caused by the naturally occurring holes in the rocks. The natives felt this noise was the underworld whispering to them. There are some 900 images carved into a huge outcrop of crystalline white limestone. Many of the figures have a radiant halo or Aura (ENRGY FIELD) crowning the heads. Many of the figures are of animals. Many of the Images of people also have stars eminating from their heads! • SILVER CLOUDS-good luck, particularly after difficulties. • GOLDEN CLOUDS-peace and, harmony. • BLACK, OR GREY CLOUDS-an omen of ill health. • YELLOW CLOUDS-an emotionally draining period, to come. • RED CLOUDS-look before you leap, beware. Where do you think the phrase,’ Every Cloud has a silver lining’ originates from? The Native Americans, in common with the Aborigines of Australia would use ‘relaxing’ substances to induce “THE DREAM TIME”, with the hope of gaining incite and prophecies, foretelling the future for, them selves and the world around. Some fascinating tales and beliefs exist within the culture of the Native Americans. Why not chase your own ‘tail’, and find one that captures you! There are easier (and healthier) ways of getting in the correct state to explore your psychic ability; you don’t have to get drunk or stoned…try a meditation instead! We all need to read this one over and over until it becomes part of who we are! 5. Laugh often, long and loud. spend lots and lots of time with HIM/HER. The only person, who is with us our entire life, is ourselves. Whether it’s family, pets, keepsakes, music, plants, hobbies, whatever.. I love you, my special friend. 12. Remember! Lost time can never be found. And last, but certainly not least. Be kinder than necessary, for everyone you meet is fighting some kind of battle. 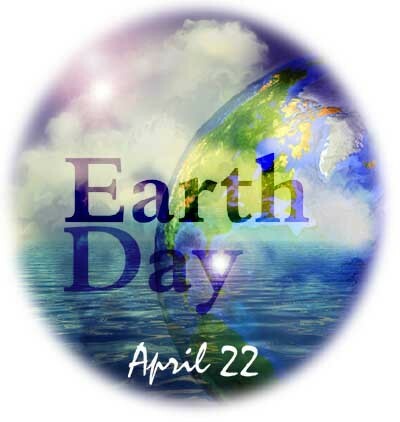 Earth Day… Walk barefoot to ground yourself and to connect with Mama Earth.. Give thanks and pour your love into her, make a new commitment to honor her with green practices. How will you celebrate her today??? “Before you talk to me about my friend, it might be a good idea to take a moment and filter what you’re going to say. That’s why I call it the triple filter test. The first filter is Truth.